When a hurricane or severe storm is predicted for your area, your first concern is undoubtedly for your loved ones. Whether or not you need to evacuate, the condition of your siding—and, ultimately, your home—is important. You want something that will stand up to hurricanes, freeing up energy for you to worry about what really matters— the safety of your loved ones. Similarly, if you don’t have hurricanes but you’re all too familiar with severe storms—high winds, heavy rains, and even hail—choosing the right siding for your home can save you money and protect your home from severe damage down the road. From the Texas Gulf Coast to Florida, and all over the east coast, homeowners know that there are necessary steps to take in order to protect their homes against storms in the long run. Choosing siding that is strong enough to stand up to hurricanes—and all the wind and rain that comes with such extreme weather—is something more people are planning for. If you’re in the planning stages of building a home, talk with your contractors about the bones of your house—the framing—before you discuss siding. Contractors in hurricane-prone areas suggest steel reinforced masonry walls instead of wooden framing for increased durability and protection against water damage. In addition to using masonry walls reinforced with steel to frame your home, properly installed housewrap is vital to maintaining a strong moisture barrier. This is perhaps one of the best ways to prevent against leaks, assuming the hurricane damage is not too severe that your walls are damaged. However, it’s the siding of your home that faces the brunt of hurricane damage—and that’s exactly why you want to choose the best siding for your home. If replacing your siding is not an option for you right now, there are still actions you can take to protect your home. Using a wind- and water-resistant paint on all types of siding will help as a barrier against water damage from the heavy rains. Most paints with wind and water resistant properties can be used on all types of siding. A month before hurricane season starts, check your home’s siding for signs of wear and tear. Are there any loose boards or any cladding not installed properly? Do you see torn or broken siding pieces, or any cracks that could let water in? While you may not be able to replace siding completely right then, you can fix any holes or loose siding boards, and seal any cracks. 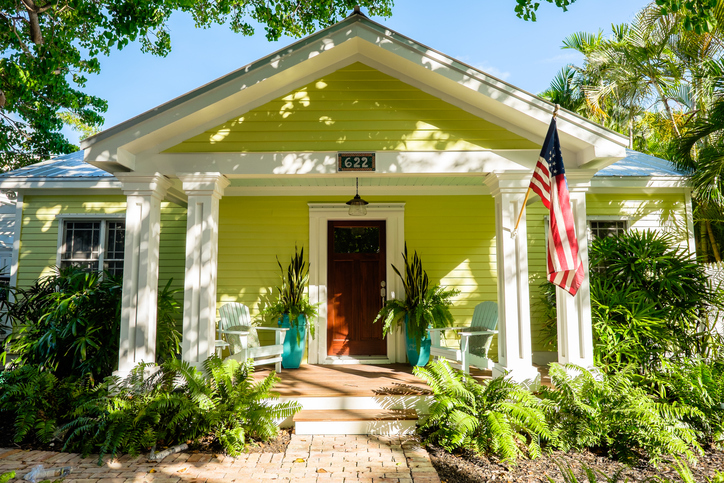 It’s not recommended to begin a major remodeling project—like replacing your siding—a month before hurricane season starts because you may run out of time, or an early storm could hit, or shortcuts could be taken to finish before the weather turns bad. When it comes to the quality of your siding renovation, you don’t want to take any shortcuts or rush the process unnecessarily. Most siding manufacturers perform rigorous product testing on their products. They look for durability against wind load and impact, such as from trees and other debris. A good contractor can recommend quality siding options that meet hurricane-resistant standards. Wood siding—which is common on older homes—is too easily damaged by hurricanes or severe storms, not to mention sea-salt damage, to be recommended. If you have to use wood siding on your home because you live in a historic district, make sure to use high-quality wood, metal flash corners, and seal the joints well—in addition to using a water-resistant paint. Vinyl siding is a popular siding choice for many homeowners across the country, but it can crack and tear during high winds. According to FEMA, vinyl siding should be able to withstand 110 mph winds in addition to heavy rains to be considered storm-ready. Ask your contractor if the vinyl they use is up to those standards. However, vinyl is best for homes in moderate climates that don’t often have severe storms or hurricanes. If you are committed to using vinyl siding for your home, heavier gauge vinyl does exist for homes within high-wind areas. You can take further steps to protect your home by making sure the cladding is secure—this will ensure the wind can’t get under the siding and cause siding planks to come off the home in a wind gust. Fiber cement siding is the preferred siding option in areas that regularly experience hurricanes. Fiber cement siding—also referred to as Hardie board siding—comes in many colors and lasts for a long time. Made of cement and sand, fiber cement is preferred over wood, vinyl, and even aluminum because it’s water- and fire-proof. You may not think of fires during a hurricane, but downed power lines can start and spread fires before the rains put them out. 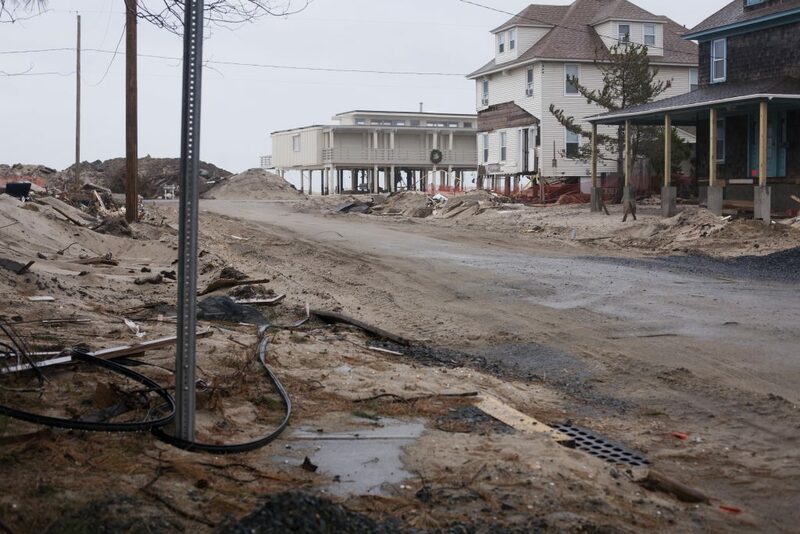 This was a major issue during Hurricane Sandy in 2012—there were fires in Breezy Point, Queens that destroyed over 80 homes. Fiber cement siding is code compliant for even the strictest counties, such as those in Florida, because they do experience so many hurricanes. Be aware that the initial investment is higher than installing wood or vinyl siding because it’s a quality material. But the fiber cement siding has a long lifespan, protects your home really well, and will pay for itself in the long run.